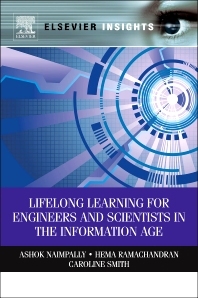 The book provides a comprehensive review of lifelong learning, information literacy and internships including assessment techniques for lifelong learning, teamwork and information literacy as defined by the ABET criteria. It also discusses critical thinking skills for scientists and engineers and their role in lifelong learning in the information age. Engineering educators including librarians interested in developing programs to satisfy the ABET criteria for lifelong learning and teamwork. Engineering librarians developing programs and assessment tools for information literacy using online databases and the Internet. Engineering educators and career advisors interested in developing internship programs in engineering. An internship is defined as work performed in an industrial setting that provides practical experience and adds value to the classroom and research learning processes. This book will cover all aspects involved in administering internship and cooperative education programs. Science and engineering educators interested in developing critical thinking skills in their students as an aid to developing lifelong learning skills especially given the challenges in the digital age.